Armillo is a unique, fun rolling platforming game with a sci-fi parallel universe theme. It features a massive amount of gameplay elements. For one, there is the regular 3D world, followed by a bonus stage on the moon. Then there is the evil parallel universe, and special 2D speed-run inspired worlds. Lots of unexpected deadly twists, and surprises await! 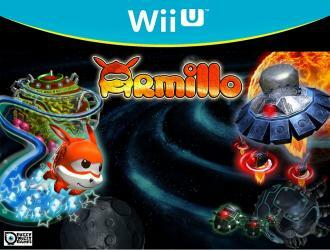 The star of the game features a space armadillo named Armillo. He's not your usual armadillo as he's capable of blasting off to space in order to travel from planet to planet. He's joined by his little blue critter friends and his brother. What's supposed to be a peaceful galaxy becomes ruined by the invasion of the robotic Darkbots. Where are they from? Why are they here? But one thing is for sure, they certainly are not the friendly type.